1 Using the template on the bottom of the page, cut out two main body pieces from two pieces of fabric held right sides together. Cut out the base and ears from coloured felt. 2 Cut three lengths of wool to twice as long as you would like the tail to be and knot them together. Knot the short ends around a pencil and make a plait to use for the tail. 3 Pin the body pieces together, right side to right side. Start sewing 8mm (3/8in) in from the bottom edge. Sew around the curve, stopping 8mm (3/8in) from the end. 4 Tie off the ends and trim the excess fabric to make the seam less bulky once the mouse is turned right side out. 5 Pin the felt base to the long sides of the body pieces, so that the right side of each of the pieces is facing the felt base. 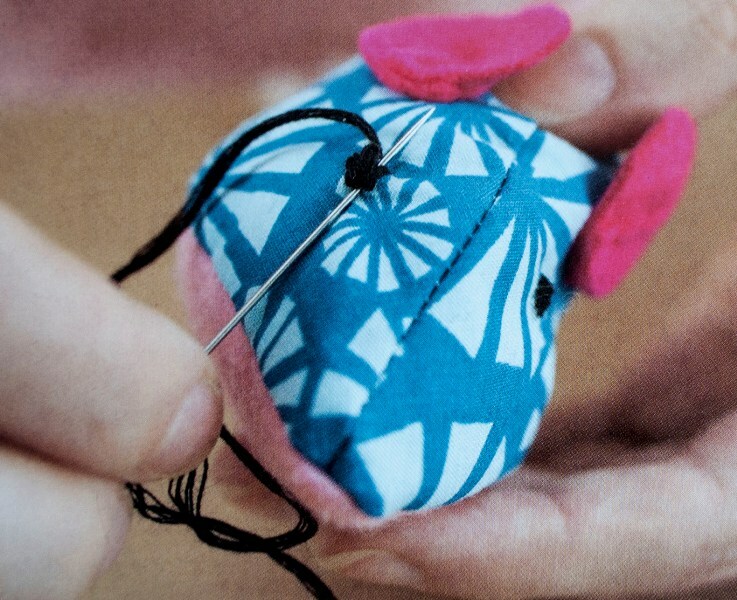 6 Starting from the back end (the slightly raised end) of the mouse, stitch all the way around the sides, attaching the top layer to the base, and stopping 2.5cm (1in) before the end. 7 Trim off the excess fabric in the seams and turn the mouse right side out, pushing the nose out with your finger. If necessary, use a needle to pull out the tip from the outside. 8 Push small amounts of wadding into the mouse, ensuring that you fill the nose. 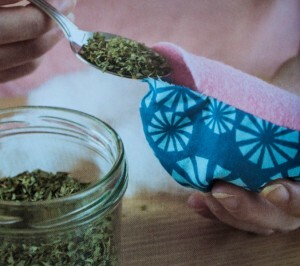 When it is half stuffed, add dried catnip. Finish stuffing the catnip mouse. 9 Insert the tail underneath the back seam, pinning the seam closed. Using small stitches, carefully sew up the opening, securing the tail into position. 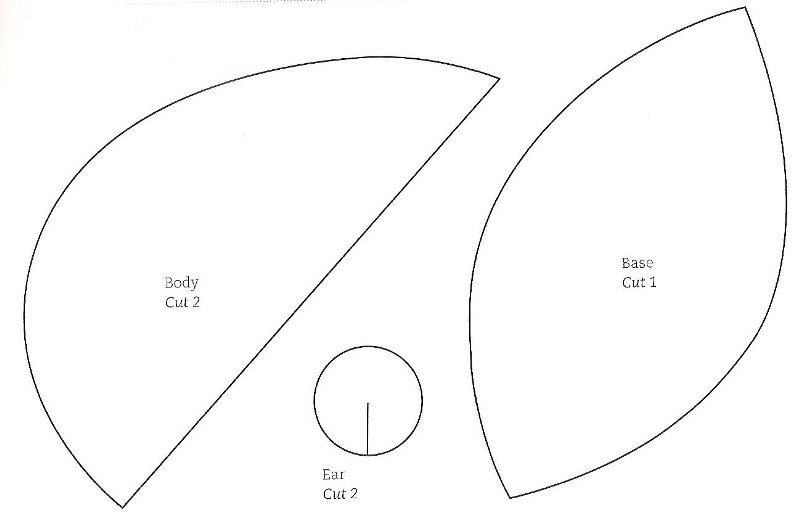 10 Bring one cut edge of the ear over the other so that the ear curves inward. Pin in place and stitch down, repeating for the other side. 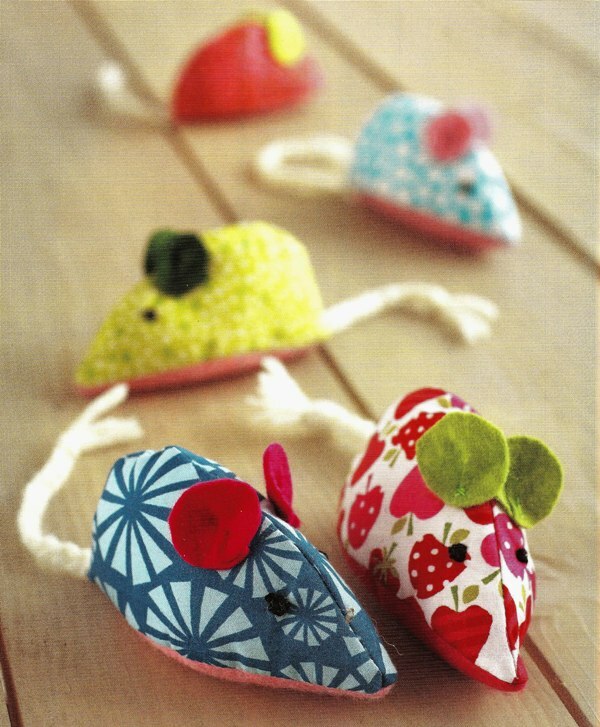 Embroider two black eyes onto the catnip mouse.